OpsClarity is a performance monitoring solution for modern applications and data infrastructure that helps DevOps and engineering teams to continuously visualize, understand and troubleshoot their complex and distributed business-critical applications and infrastructure. Built by alumni from Yahoo, eBay, Facebook, Twitter and Google, OpsClarity is the only solution that can dynamically adapt to and learn every component of a company’s modern fast data application and infrastructure and extract key insights needed to maximize performance and agility..
Dhruv Jain As the CEO and co-founder of OpsClarity, Dhruv Jain is passionate about transforming IT operations by bringing an intelligent approach to systems management and monitoring. 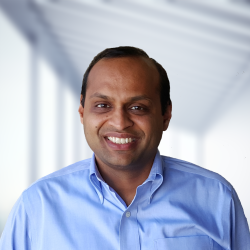 Prior to founding OpsClarity, Dhruv ran Corporate Strategy and Business Development at Cisco Systems where he helped to drive technology and product strategy for the $7B+ Data Center, Virtualization and Cloud business. 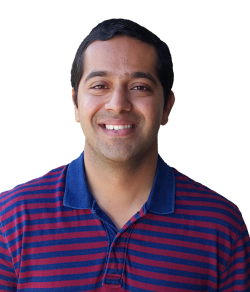 Dhruv holds a Masters in Electrical Engineering from Stanford University and an MBA from Wharton. OpsClarity says that its platform now also works with databases such as MongoDB and Cassandra that are commonly used in conjunction with Hadoop. The recently-funded OpsClarity Inc. hopes to simplify the monitoring of the analytics framework with a new iteration of its performance tracking software that adds support for all the key elements under the hood. They’re joined on the list by the likewise free Elasticsearch query engine and a number of other complementary tools from the open-source ecosystem. One of the biggest selling points touted by the startup is an automated discovery function capable of quickly mapping out the entire operational puzzle without manual input. As if keeping tabs on how the different workloads in a data center interact wasn’t already difficult enough, Hadoop has another layer of dependencies among its internal components. The State of the Container curates the top news in the Container ecosystem on approximately a monthly basis. Jaxenter · “While Docker images are famously simple and practical, Docker security remains a tricky maze. Lastly, be sure to check out Clair for container vulnerability scanning, OpsClarity for visualizing app infrastructure monitoring, and Oracle’s strategy with StackEngine. As a result, we’re seeing a proliferation in the development of new and advanced tools and tutorials, with even the container job market heating up. Further bolstering the ecosystem, Microsoft emerged as a serious partner and is heavily committed to furthering container support in their 2016 product line. Comcast Ventures led the round; HTC, Samsung Ventures, Zynga co-founder Mark Pincus and PayPal co-founder Peter Thiel also participated. Remedy Pharmaceuticals, an 11-year-old, New York-based developer of drugs to treat acute CNS disorders, has raised $9 million in VC funding. Other investors in the company include Iconiq Capital, Index Ventures, OATV, Soleio Cuervo, and individual investors, including LinkedIn CEO Jeff Weiner. EatStreet, a five-year-old, Madison, Wi.-based online food ordering service, has raised $15 million in Series C funding co-led by 4490 Ventures and Lumia Capital. Sensoro, a 2.5-year-old, Seattle-based maker of iBeacon sensors, has raised $10 million in new funding from Nokia Growth Partners, New World Development Company, and Mandra Capital. The funds raised by the Kickstarter campaign will go towards the manufacturing and fulfilment of the BASE insoles as the company looks to ship in January 2016, according to their website. The company also said that it would prepare to enter the market with a Kickstarter in 2016 as it looks to attract early adopters to, a 3D printed insole that would be the company’s first product to hit the market. All of these changes mean that a monitoring platform today is very different from one in the past. Whereas traditional IT departments would likely have had distinct solutions to deliver application monitoring and infrastructure monitoring, today it is more usual to have these two areas combined into a broader analytics platform. 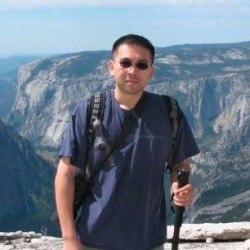 OpsClarity, an operation and analytics company, is launching a new platform today in an effort to "bring intelligence to operations for modern web-scale applications. Applications today are fundamentally different to those of only a few years ago. According to the company, OpsClarity is "the only solution available today that can dynamically adapt to, and learn, every component of a company's applications and infrastructure. An Expert DevOps AssistantThe OpsClarity Intelligent Operations Platform reinvents monitoring and analytics for these dynamic web-scale applications, helping DevOps teams intelligently understand and troubleshoot issues in their changing environments in real time. 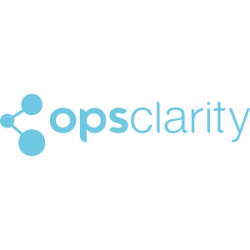 SUNNYVALE, Calif.--(BUSINESS WIRE)--OpsClarity, the operations analytics and monitoring company, today announced the launch of an advanced platform that brings intelligence to operations for modern web-scale applications. The OpsClarity Intelligent Operations Platform is available now. About OpsClarityOpsClarity is transforming modern software operations with data-science-driven monitoring solutions that help today’s DevOps teams continuously visualize, understand and troubleshoot performance of their rapidly changing web-scale application environments. “The OpsClarity platform is very impressive and I’m excited to see how AWS customers will make use of this platform to further optimize for operational speed and agility,” said Dr. Werner Vogels, CTO, Amazon.com. Available Now: OpsClarity Intelligent Operations PlatformThe OpsClarity Intelligent Operations Platform, also announced today, provides a smart, automated application and infrastructure monitoring solution for today’s dynamic web-scale applications. The OpsClarity Intelligent Operations Platform is available now. “The rise of cloud-native services and web-scale application architectures has resulted in massive change, scale and complexity challenges for operations. About OpsClarityOpsClarity is transforming modern software operations with data-science-driven monitoring solutions that help today’s DevOps teams continuously visualize, understand and troubleshoot performance of their rapidly changing web-scale application environments. SUNNYVALE, Calif.--(BUSINESS WIRE)--OpsClarity, the operations analytics and monitoring company, today emerged from stealth and announced its innovative Intelligent Operations Platform, the only solution available today that can help DevOps teams intelligently understand and troubleshoot issues in their rapidly changing web-scale application environments.